The Public Affairs and Marketing Network (PAMN) fosters the mission of cancer centers based in academic medical centers and research institutes. This team of like-minded and innovative professionals comes together to discuss the challenges of our respective organizations, connect with leaders in our industry and make meaningful contributions to the advancement of discovery. Membership dues are a flat-rate of $350 per institution on an annual basis, and institutions may sign up an unlimited number of relevant marketing and communications professionals. Members in PAMN include professionals who work in public relations/media relations, marketing, graphic design and publications, web design and content management, and other related communications functions. 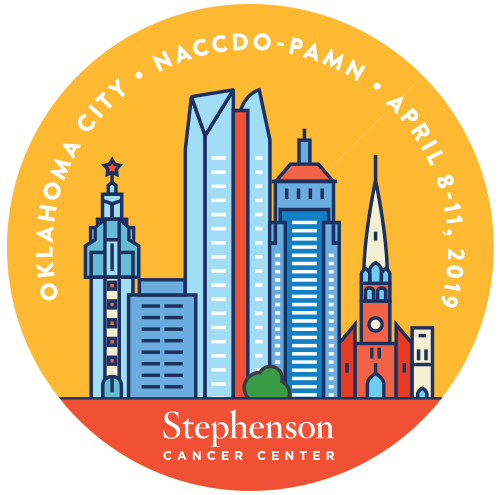 PAMN membership is reserved for marketing and communications professionals employed at academic cancer centers (must be designated by the National Cancer Institute and/or members of the Association for American Cancer Institutes). Staff of health care providers or hospitals that have an affiliation or other brand partnership with one of these cancer centers are not eligible for PAMN membership. Access to myPAMN and our exclusive LinkedIn Group, allowing you to review and participate in conversations with your colleagues across the nation. Networking opportunities with your peers and cancer communications veterans, plus exclusive access to our jobs board. Network and learn at the only conference dedicated to bringing together communications and marketing professionals, as well as experts in development, working in cancer. Webinars to refresh your professional development and learn how other cancer centers have applied best practices to cancer-related marketing and public affairs.